Ever since Colorado legalized recreational cannabis there’s one perennial question that everyone always asks. Where is all the tax revenue from marijuana sales going? Depending on where you live, the questions may get a bit more specific: If schools get pot money why do they continue to hurt for cash? Are school buildings getting fixed? Why is my town or county seeking tax hikes, aren’t government budgets pot plush? What do we get for our tax money? Where is it ending up? In short, there’s a lot of questions. 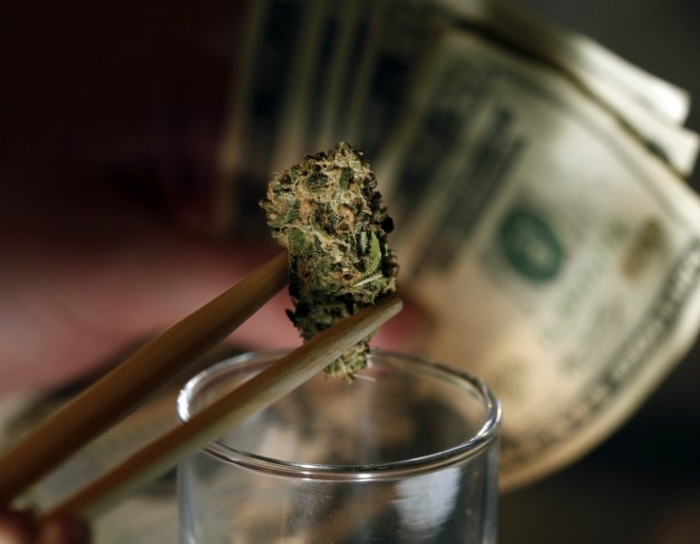 Despite the fervor, marijuana isn’t the big green budget bandage that many envisioned. That’s not to say that the state isn’t making money on the deal, but, like many taxes, it’s not a cure-all that balances the checkbook. How much is marijuana taxed in Colorado? Colorado’s recreational marijuana tax rate increased in 2017 to 15 percent, up from 10 percent, where it had been parked since legalization in 2014. That’s the rate you pay when you’re checking out at the dispensary. Before it even gets to you, recreational marijuana is also subject to a 15 percent excise tax, which is triggered each time the product is transferred from a production facility to a dispensary. There’s a state sales tax of 2.9 percent that only applies to medical marijuana, another change made in 2017. Medical marijuana doesn’t get hit with an excise tax before it arrives on shelves, which is why prices at the register tend to be lower for medical marijuana cardholders. On top of that, all cannabis sales — medical or recreational — are subject to local taxes. Districts throughout the state can collect sales tax on marijuana. For example, most people who live in the Denver metro pay an additional 1 percent tax on sales of very specific items, including marijuana, to fund the Regional Transportation District. Marijuana-purchasing Denverites also support the Scientific and Cultural Facilities District. What else do marijuana taxes pay for on the local level? It depends on where you live! Aurora, for example, has used marijuana tax money to create The Aurora Day Center, a place for homeless people to go during the day It’s part of the city’s larger $1.5 million investment in combatting homelessness, courtesy of Aurora’s cannabis consumers. For the third year in a row, Pueblo has used marijuana tax money to fund scholarships, doling out $634,000 to 563 students so far in 2018. There are limits on marijuana taxes that can be levied locally. Like Pueblo, Adams County had been using marijuana tax revenue to fund scholarships for underprivileged students. But the county’s voter-approved tax on recreational marijuana that targeted three specific cities was later found unconstitutional. The county may have to pay the money back. How much does the state earn from marijuana taxes? The total number that the state takes in includes all those taxes we talked about above, along with cash made from other aspects of the whole marijuana infrastructure — application and renewal fees for business licenses and such. Month-to-month tax revenue generated by cannabis in Colorado. Yellow band denotes a tax change: Starting July 1, 2017 retail marijuana and retail marijuana products are exempt from state 2.9% tax and the retail marijuana sales tax increased to 15 percent — revenue changes were first reflected in August 2017. In 2017, Colorado made more than $247 million in marijuana taxes, licenses and fees. Ever since recreational marijuana was legalized in 2014, the purse has gotten bigger and bigger. So, that’s a lot of money money into the state budget, right? Uh, in a word. Not really. As a percentage of the state budget, it’s less than one percent. Here’s a graphic provided by the state budget office. How is that money allocated? Well, before we get to answering that, let’s see what Amendment 64, the 2014 voter-approved constitutional amendment that legalized recreational marijuana, actually said about this. Of the 15 percent retail excise tax (the one paid when cannabis moves from grower to seller), the first $40 million or 90 percent, whichever is greater, goes to the BEST capital construction grant program, where schools, districts and various education providers can apply for money to build new buildings or renovate existing facilities. The latest round of awards will pay for lots of maintenance projects. That marijuana moolah can’t pay for things like teacher salaries though. The remainder of the excise tax revenue, an extra $31.6 million in 2016-17 according to the Department of Revenue, goes to the Public School Permanent Fund overseen by the state treasury. The interest generated by that fund supports K-12 education, including maintenance. The recreational 15 percent special sales tax, minus a local share, goes to the state’s general fund where a small sliver is split off for the Department of Education’s State Public School Fund (different than the permanent fund mentioned above) and the rest paid into the piggy bank that lawmakers created as a part of legalization: The Marijuana Tax Cash Fund. The 2.9 percent sales tax on medical goes entirely into the Marijuana Tax Cash Fund. That money bank rolls lots of different things. More than $2.2 million went to the state Department of Agriculture, to fund hemp regulation and seed certification and the Colorado State Fair Authority. More cash went to education — to the tune of more than $20 million in 2018 — through grants for school health professionals, early literacy programs and dropout and bullying prevention.